No Wonder This Stuff Ended Up At The 99¢ Only Store! OH, big surprise this stuff bombed. Big surprise! I mean, there’s nothing new here! 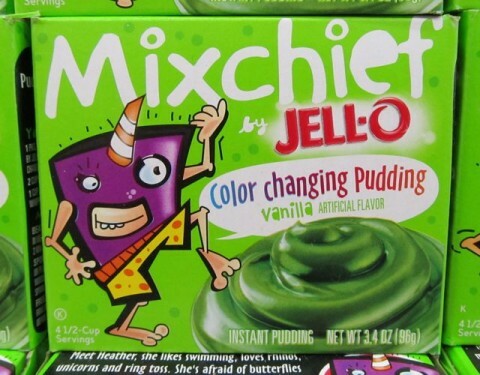 Jell-O’s always made color-changing instant pudding. Of course, in the past, you had to digest it first. Though I suppose the change in hue is more evident with some varieties than others. Posted by Ted on February 21, 2012, 12:02 AM.